The Bean Institute is partnering with NDSU Extension to create two new Instant Pot bean recipes. What recipes would you like to see created? 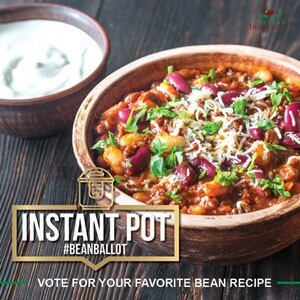 Sound off on social media using #BeanBallot or email megan@northarvestbean.net by March 15 with your recipe suggestions. After a list has been compiled, there will be a vote for the top two recipes. https://northarvestbean.org/wp-content/uploads/2019/03/bean-ballot.jpg 300 300 Northarvest Bean Growers Association http://northarvestbean.org/wp-content/uploads/northarvest-bean-logo.png Northarvest Bean Growers Association2019-03-14 10:52:002019-03-15 10:15:24What Are You Craving?